Brite Blinds Ltd was established in 2004 when three blind experts decided to take their collective knowledge of manufacturing, selling and fitting blinds and open a new workshop and showroom at Offington Lane in Worthing. The business quickly became a success allowing the business to open a second showroom in Hove in 2006. In 2015 the two small showroom where brought together in our new modern showroom based in Hove. 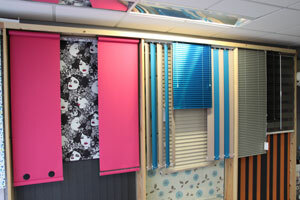 We have a dedicated section to motorised blinds and we are soon to add our Markilux display area. Our showroom is packed with 1000's of fabrics, colours and designs so there's bound to be something to suit your home or workplace. We cater for all tastes, with every type of blind and awning supplied and fitted, including venetian, wooden venetian, roller, vertical, pleated, roman. In addition to our standard range of blinds we also offer specialist blinds such as INTU blinds and Perfect Fit. 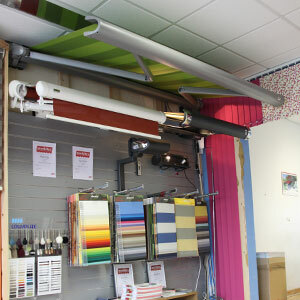 And also conservatory blinds and awnings. Click here to book an appointment. Brite Blinds Ltd have been supplying and fitting Markilux awnings for some years now our new showroom at 248 Portland Road in Hove has three Markilux awnings displayed and the full Markilux fabric range. Our display features the ever popular Markilux 990 with motorisation, a top of the range Markilux 6000 and a Markliux 1600 featuring a shadeplus drop valance and gas piston arms.